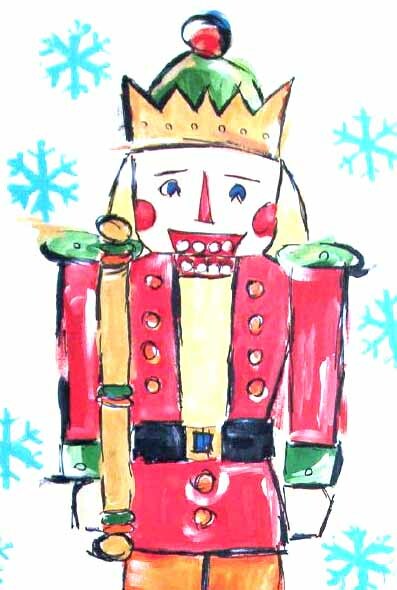 The pieces are in the order of The Nutcracker Suite - not in order of difficulty; some are much harder than others. The fastest versions on the CD have Complete and Background (where some melody is omitted); short introductions have been added in some of the movements to make it possible to play along with the CD - the “real” beginning of each piece is bar 1. This is the opening of both the Ballet and the Suite, and is in the original key (C major - Concert Bb major). To avoid the use of 16th notes and, thus make the piece appear less intimidating, all of the rhythmic values have been doubled and the meter changed from 2/4 to 2/2 (cut time). This is No. 2 in both the Ballet and the Suite (transposed down a tone from the original key of A major - Concert G major) but the last piece from Act I of the Ballet (all others are from Act II). This piece appears near the end of the Ballet (there are 15 numbers and it is Variation 2 of No. 14 “Pas de Deux”). To avoid the use of 16th notes and, thus make the piece appear less intimidating, all of the rhythmic values have been doubled and the meter changed from 2/4 to 4/4; it has been transposed down a tone from the original key of F# minor (Concert E minor). In the Ballet this piece appears between CHINESE DANCE and DANCE OF THE REEDS; it has been transposed down a tone from the original key of A major (Concert G major) and to avoid the use of 16th notes and, thus make the piece appear less intimidating, all of the rhythmic values have been doubled and the meter changed from 2/4 to 2/2 (cut time). 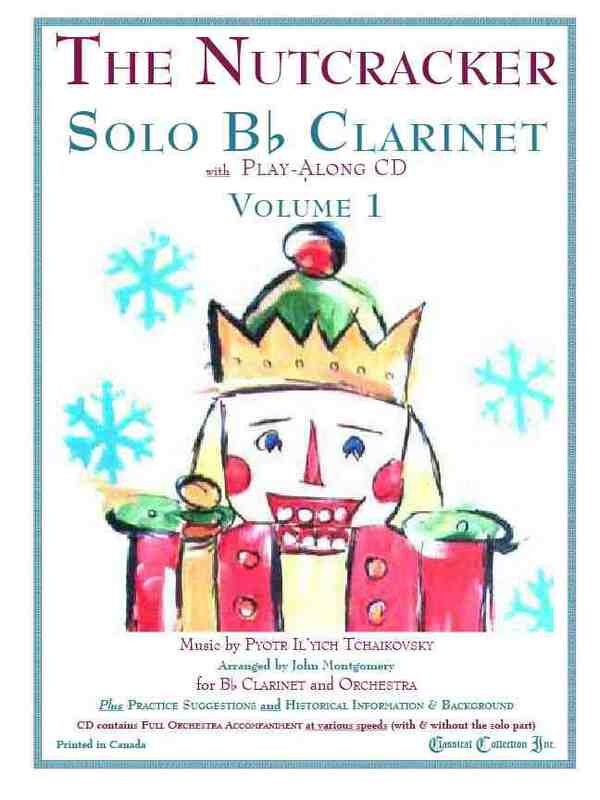 This book is a companion to the Solo Volume & Play-Along CD (above) and piano accompaniment (below); it is strongly suggested that you practice and play the Solo Volume before trying the duets - if you cannot play the Solo part (with the CD at various speeds), it is very unlikely that you will have any success with the duets. If used as student/teacher duets, the upper part should be played by the student and the lower part by the teacher - the upper line (melody) is basically the same as the Solo volume part, while the lower line (duet part) is different, and for the most part, more difficult, both technically and because of the fact that there are very few rests; this aspect makes many of the duets extremely difficult to perform with just two players (having two players on each part, especially the lower part, makes a live performance more possible). Because the duets for OVERTURE and MARCH are both 4 pages in length, 3 separate pages are provided to be attached to the volume, to avoid page turns. 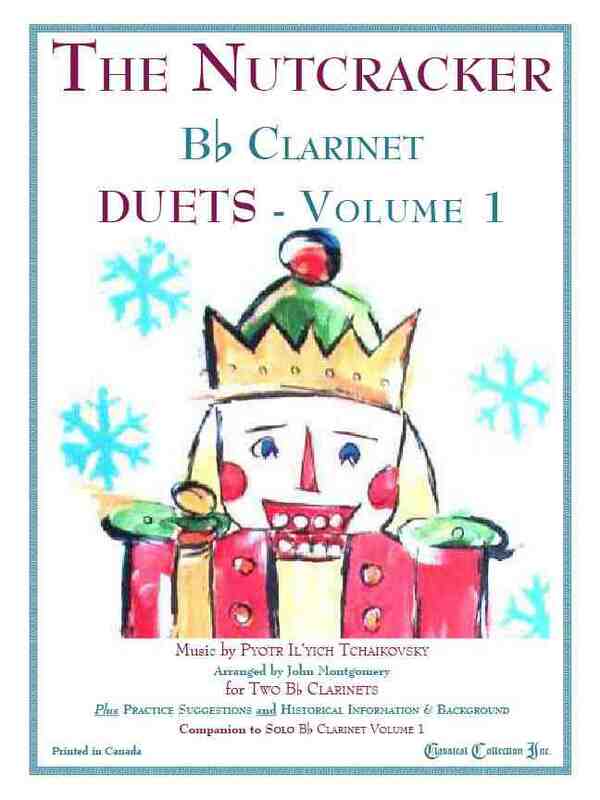 These Duets are also compatible with the Solo Part, Audio CD and Piano Accompaniment in the books for Flute & Alto Sax.